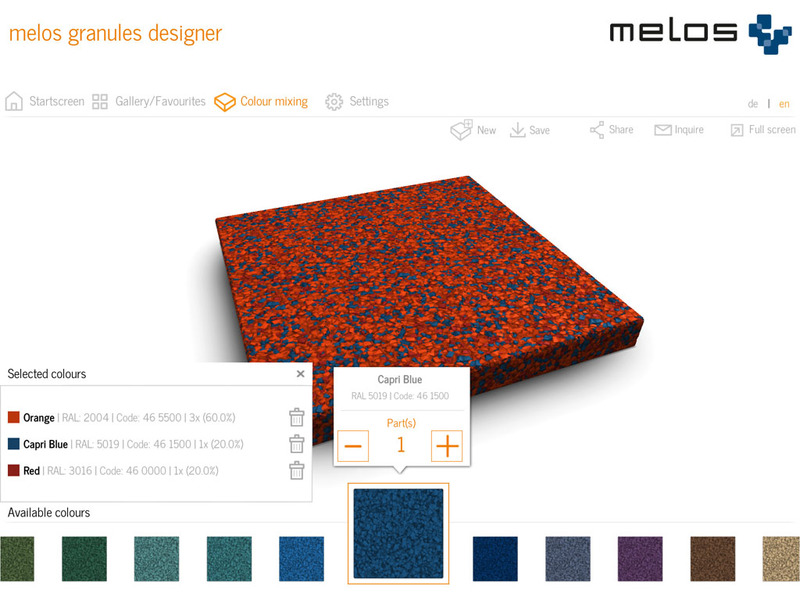 The new WebGL version of the Melos Granules Designer can now be used directly in your browser to visualize your individual blends. Additional a new offline version is available for Windows and MacOS. 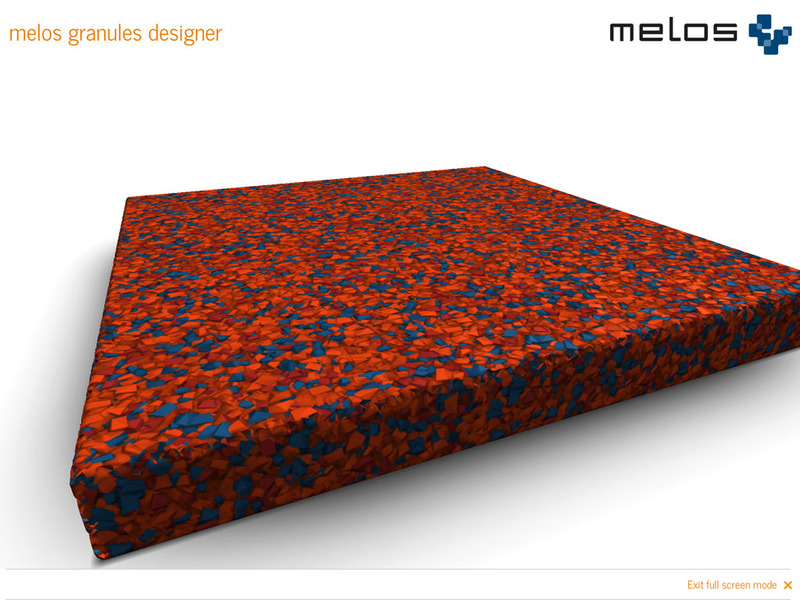 The innovative 3D application for mixing soil granules developed by Melos GmbH in 2011 has now been modernized and adapted for mobile devices. The technical challenge was mainly to bring this originally designed for the PC visualization on mobile tablets with limited computing power and still achieve a high optical quality. 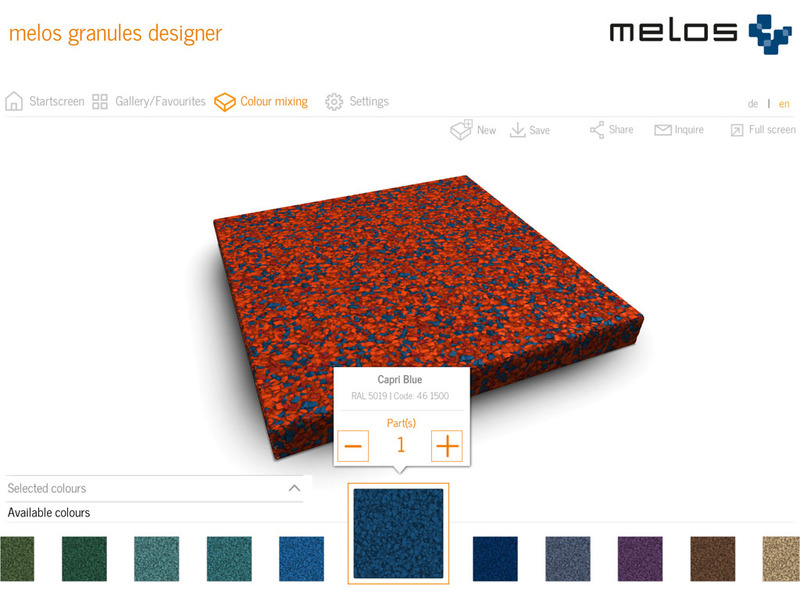 The new Granules Designer App scores next to the new and clear design with a convincing functionality and attention to detail on all popular tablets. 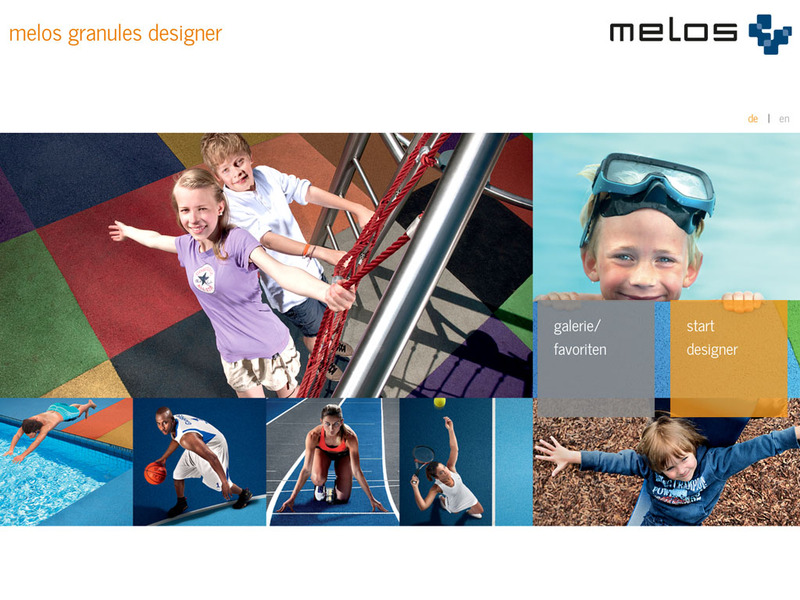 We developed the app in cooperation with A3Plus GmbH, which was responsible for the graphic concept. 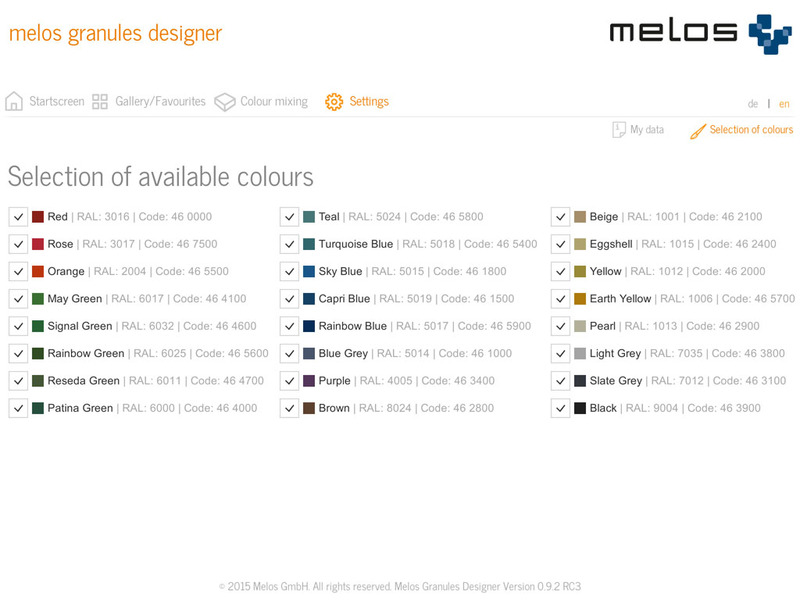 A clean user interface with clear structures and a fresh design provides a quick overview of all 24 colors, from which any color mixtures can be mixed. 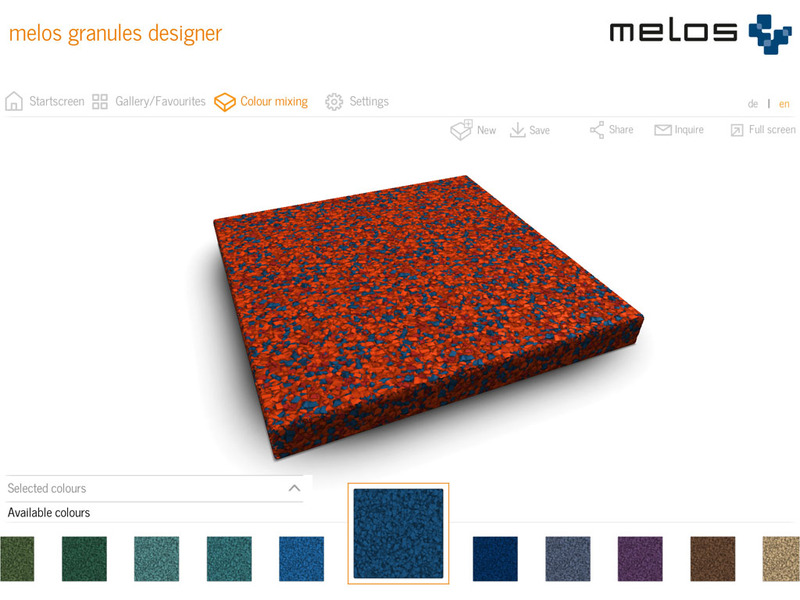 All structure subtleties and the color effect of the created soil mixture can be explored even more thoroughly by the user than ever before on a virtual 3D granule plate, which can be changed interactively at any time. 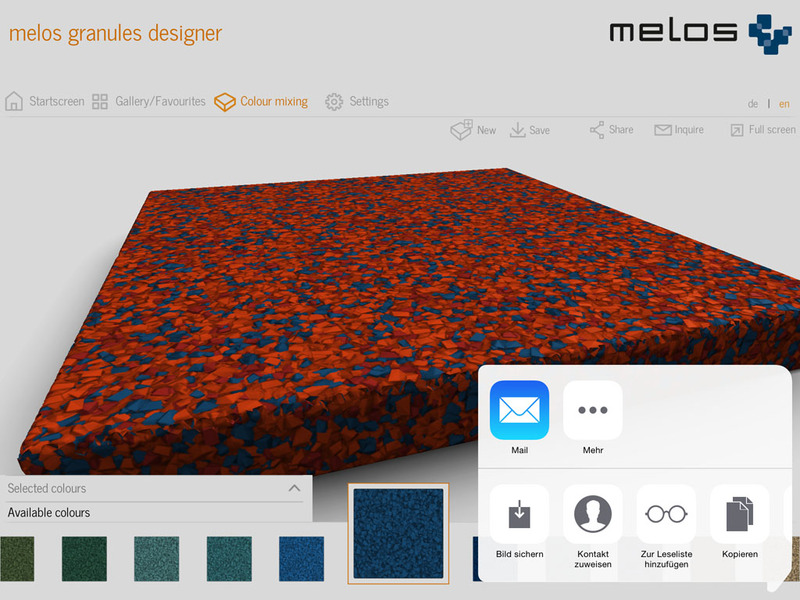 Also new is the so-called "sharing function", with which self-created floor designs can be sent from the app to colleagues or customers via e-mail, Twitter or Facebook. 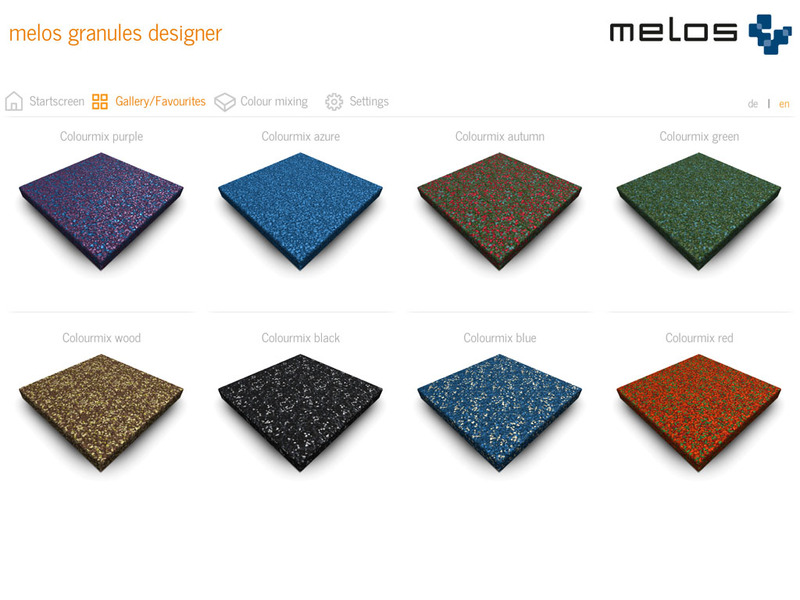 Here you can try the app directly: For your tablet with iOS or Android.